Last December, the Hosni Mubarak’s government gave 2.8 square kilometers of land around lake Qarun to developers to build a tourist resort. If the resort was built, a Neolithic site would have been lost. Now, due to the revolution, that land deal has been revoked. But the Buddhist monasteries of Mes Aynak in Aghanistan are not so lucky. Mes Aynak (Little Copper Well) lies 25 miles south-east of Kabul, in a barren region. The Buddhist monasteries date from the third to the seventh centuries, and are located near the remains of ancient copper mines. It is unclear whether the monastery was originally established to serve the miners or if the monks set up there to work the mines themselves.Here, 7,000 ft up the mountains, Bin Laden set up a training camp in 1999 to prepare terrorists for the 11 September attack. All traces of the camp have gone, but the region still remains a Taliban stronghold. Now that mining the place is lucrative, you can say bye bye to the monastery next year. After all who wants that in Afghanistan now? Definitely not the Chinese and definitely not the folks who run the country. 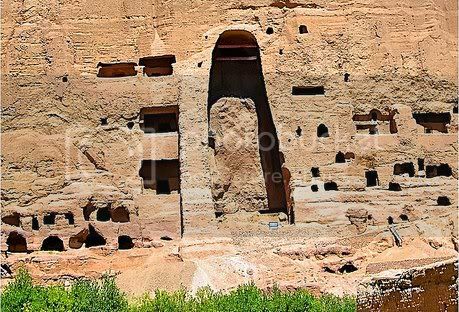 In 2001, the Taliban used mortars, dynamite, tanks and anti-aircraft weapons to destroy Bamiyan. Now the Chinese are going to use dynamite and heavy machinery to destroy the remains of an Indic religion. There is not much in the news about this Bamiyan type destruction. There are no screaming voices in the Guardian from international award winners who usually get upset when they hear the word mining. 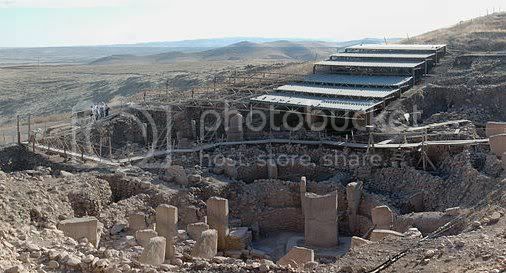 On Dec 29, 2009, archaeologists found the eighth in a series of lost chambers at Wadi Gawasis in Egypt. Previously seven chambers had revealed pieces of an Egyptian sea faring vessel. This is not the oldest ship remains in Egypt; that credit goes to Khufu’s ship (2500 B.C.E), but then Khufu’s ship probably never sailed. The ship that was found at Wadi Gawasis was sent to Punt by the female Pharoah Hatshepsut (1508 B.C.E – 1458 B.C.E). But even now no one knows where Punt it. We know that it was south of Egypt, was accessible through the Red Sea and from there Egyptians obtained an alloy of gold and silver, wood, slaves and animals like giraffe and rhino. The most important export of Punt was a tree resin used to make incense. Then incense, during those times, could be obtained from Arabia, Sindh, Baluchistan, Gujarat, Ethiopia, Eritrea, Somalia and Sudan. In fact among all these places, the Arabian one was considered the best. But looking at various other factors, Punt is believed to be in the Saudi/Yemen border or Eastern Sudan/Eritrea area. Egyptians were known for their land trade, but when the King of Kush became powerful and hostile, Queen Hatshepsut had no option other than navigating the choppy waters of the Red Sea. The design of her ship can be seen in the frescoes of her tomb and based on that archaeologists and ship builders made an exact replica which was the subject of the new PBS documentary Building the Pharoah’s ship. This ship, made of wood, tied with rope and sealed with beeswax, performed well. It was able to survive a small storm as well. But then sailing across the open ocean was quite common by that period. A millennia before Hatshepsut, Sargon of Akkad boasted about the ships of Magan, Dilmun and Meluhha lying in his harbor. To prove that ancient ships could do such long distance travel Thor Heyerdahl made a 60 foot reed ship called the Tigris and sailed from the Tigris delta to the Indus delta and returned back to Djibouti. It was in such ships that Queen Puabi got her carnelian beads, Gudea got his wood and the Meluhhans arived to settle in Guabba. In the lecture on Vedas, as part of the Introduction to Asian Civilizations: History of India course at UCLA, the instructor makes few points about the Vedic period which again shows that mostly outdated information or incomplete information is still being taught (Lecture of 10/2/2009). When he talks about the Vedic gods — Agni, Varuna, Indra, Ushas — he notes that they are connected to the elements. This, he explains, is not surprising since the Aryans were pastoralists concerned about the whims of nature. Though it looks convincing, the shallowness of this observation can be understood only by reading better books on that period. The Aryans did not just have a childlike wonder towards the natural forces; they also had a philosophy behind it. The Rg Vedic gods did not just keep order in the physical universe. They also kept moral order. In the Mantras, there are expressions like ‘guardians of rta’ and ‘practicers of rta’. For example Varuna is not just the god of sky and heavenly light, but also the one who fixed the laws of the physical universe which cannot be violated. It is said that no sin escapes his attention. subdued snub-nosed and dark skinned people known as the Dasas. An analysis of this statement shows there is a Grand Canyon wide gap between what we know now and what the instructor is teaching. The theory of the forts and citadels comes from the British archaeologist Sir Mortimer Wheeler. When he saw thirty seven skeletons in Mohejo-daro, Indra stood accused for he was purandara or the ‘fort destroyer’. Later Western archaeologists themselves noted that there was not a single bit of evidence to suggest an armed invasion of Harappa; none of the skeletons were in the area of the citadels. Also to add more nails to this coffin, it was found that the skeletons were from a period after the abandonment of the city and only one skeleton had a lesion caused by a weapon. This nasal debate was started by Max Müller in 1854 based on a solitary reference to the word anasah.He thought this word meant noseless or snub nosed. In 1891, in the eyes of British ethnographer Herbert Hope Risley, this solitary reference became frequent references. By 1967 some Western scholars thought that the word probably meant faceless instead of noseless. Nevertheless they decided to go with Max Müller. A proper response was given by Sri Aurobindo. He noted that the word anasah does not mean noseless. Even if it did mean noseless, he said it could not be a reference to the Dravidian nose which was as good as any Aryan nose. Another possibility is that the noseless description could refer to the tribal people. In fact there is an equivalent word in the language of the Bhil tribe. But the word in Bhil tribe means unethical not noseless. Indian scholars meanwhile read anasah as an-asa meaning devoid of fair speech.This makes sense because the words Arya, Dasa and Dasyu appear mostly with reference to hymns about Indra. The Aryans worshipped Indra while the Dasas or Dasyus were without rites, of different rites, non-sacrificers, without prayers, without Brahmin priests, and without Indra. This word appears in a passage where Dasyus are also described as having defective organs of speech; maybe they were referring to the Dasyus as uncivilized or uncultured. Thus you see two groups of people who disagreed on rituals, but there is nothing to suggest a racial divide. Since the UCLA instructor is a proponent of the Aryan Invasion Theory, there is one version of which suggests that the Dasas were Indo-Europeans who arrived earlier than the Vedic people. What about the dark skin? This comes from two words — krishna and asikini — which mean black. These words are used to refer to black clouds, black demons, the power of darkness and a demon named Krishna. According to one Western scholar the krishna is a symbolic expression for darkness. According to Prof. Michael Witzel, for Vedic poets black meant evil and not skin color. In 1999 Hock reexamined all these passages and concluded that this skin color was just a mechanism to justify European imperialism; Ambedkar had made that conclusion much earlier. For more than a century Indian scholars have challenged this racial interpretation. For more than half a century Western scholars have agreed with this. Still in 2009, Max Müller’s 19th century racial interpretation is being taught. M. Hiriyanna, Outlines of Indian Philosophy (Motilal Banarsidass Pub, 2000). Edwin Bryant, The Quest for the Origins of Vedic Culture: The Indo-Aryan Migration Debate(Oxford University Press, USA, 2004).